You can make people feel something by telling them about the people you have benefitted and how you have changed their lives. But how do you go about doing that, where should you use them, and how do you collect them? It can feel like a lot of extra work to collect case studies and keep the information on file, but if it is built into the process from the start it can be a lot less onerous. Think about the kind of stories you want to collect from your projects on the ground. Make sure people who work on the front line with the beneficiaries know that you need to collect people’s information. Have one point of contact in the head office who is responsible for liaising with the field staff and collecting and databasing the case studies. Spend time talking to potential case studies for stories, and really listening to them by asking thoughtful, open questions. It’s when you really spend time, and really listen that the little details come out, those little nuggets of gold that make the stories even more memorable and personal. This story from Comic Relief about Beth stands out because of the lovely positive detail about her performing a song on the radio for the band J.L.S. Keep good notes and store the information somewhere safe where it will be confidential. You need to make sure you explain to people very clearly what you are asking of them, particularly if they are in anyway vulnerable. Make sure you have their informed consent to use their story and discuss with them whether you can use their real name or their image. Keep in touch with them and let them know if you plan to use their story again at a later date as their situation may have changed. You can use people’s real life stories on your website, in your annual report and in press releases. 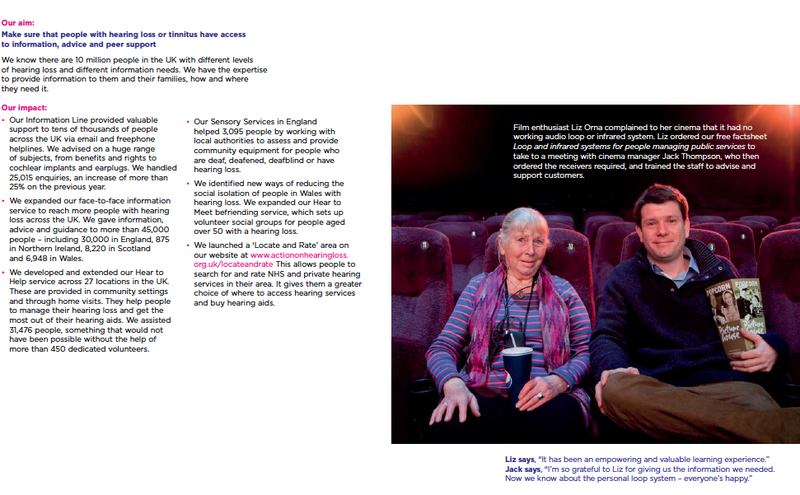 Action on Hearing Loss use real life stories to demonstrate impact in their annual report. 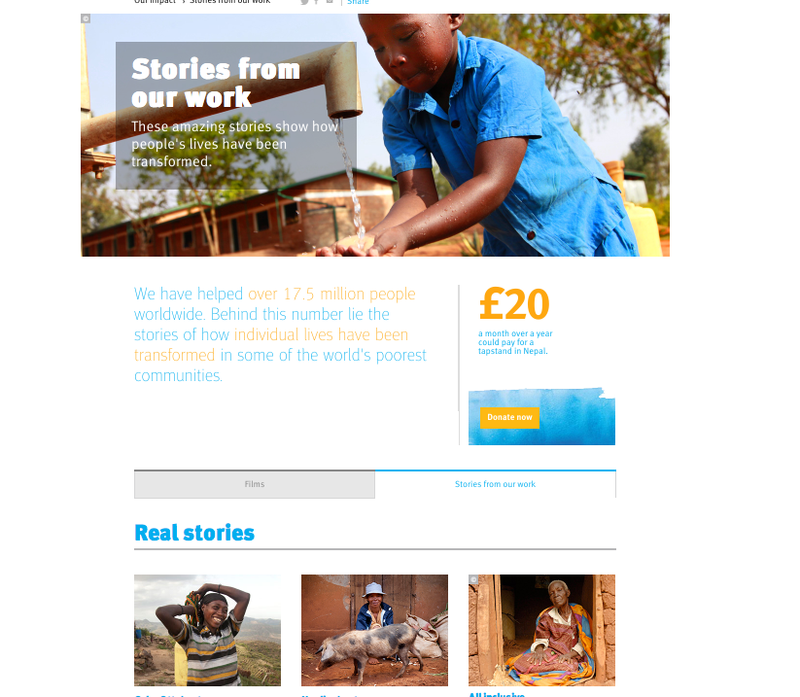 Water Aid’s brilliant “Stories from our work” page on their site, brings to life the stories of the people they have helped whilst also including the fact that they have helped over 17.5million people. Large impressive figures to show the quantity of the impact and then powerful individual stories to show the quality is a great combination. Telling great stories can only increase your impact, as long as you think carefully about what you are doing. Make sure you have thought about the kind of stories and images you want to use and the language you choose. You may want to ensure you don’t portray your beneficiaries as “victims” or as desperate. You’ll notice that on the Water Aid site, bright upbeat images have been chosen. Finally for more tips on how to use case studies and what to think about when dealing with beneficiaries, get this great free guide from Charity Comms. Let me know what issues you have faced, or what solutions you have found in the comment box below. Do you need a digital champion?